Last week, I hosted an event for women in the Bookssorted contractor payroll services community. As a payroll company with a diverse team and client base, we pride ourselves on our use of diverse lenses, empathy and understanding to providing a service with a difference in the payroll market. At our core, we are a payroll company that has a mission to help long-term contractors across Australia manage their income through increased knowledge, understanding, trust and engagement with real people who give a damn. While a payroll service can simply be transactional, we want to provide so much more. For this event, I wanted to listen to our female contractors and hear from them their achievements and challenges, and celebrate them for all they do to support #BalanceforBetter is the field of technology. It was pleasing to hear that our clients, like us, see the importance of applying different lenses to our challenges and services, to truly get to the heart of how we can best help our audiences. Diversity in gender, age, race and more helps us provide the best service we can to meet the needs of our remarkable clients. In fact, it’s a large part of our success. It is also our celebration of diversity and our recognition of difference that led us to host our International Women’s Day catch-up last week. 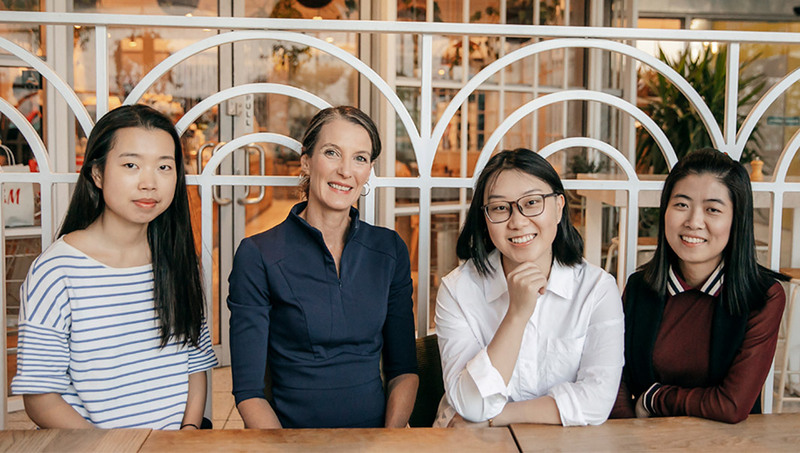 Joining together for coffee, laughs and discussions on 8 March, were eight female IT contractors from our community, half of our team and a couple of other Canberra business women in our community. With the beautiful surrounds and delicious caffeine hits from The Green House in the Canberra Centre, we were humbled by the conversations of achievement, the stories of challenges overcome and the banding together of a cohort of women who, in all honesty, have had to deal with setbacks that their male counterparts may never have seen. While IT teams often know each other’s strengths and weaknesses, it can be the perception of others working with the teams that can mean women in IT can have to work extra hard to prove their expertise. For a couple of women in our community who have been working IT since the 80s and continually updating their skills to be at the forefront of technology, too often they have had to deal with being asked if they understand what is being discussed. There are assumptions that if you are older and female, the tech jargon is lost on you — whereas often they have more experience than those judging. Of course, it’s often understood that these are just assumptions and on speaking up we can change the assumptions. But working to also increase the number of women in IT can go a long way to helping reframe these assumptions and show that IT experts come in all genders and ages. Another challenge is career interruptions, which can set people back in the rapidly moving world of IT. With child-raising or caring for ill family members often falling largely to women, this issue can hit women more than men and lead to confidence issues in returning to IT. Without support, some women leave the field of IT altogether after career interruptions, leaving the sector without their skills and experience, and with less women progressing to IT leadership. Over coffee we also discussed the increased need for diverse lenses on IT projects, in particular with the government’s digital service delivery agenda. With many government tech systems largely used by men and women — think Medicare and other service and information apps — it’s vital that a diverse lens is used from the concept stage through to creation and delivery. Without this we’ll-rounded view, it’s difficult to create systems and apps that meet the user’s needs. This diverse lens must cover gender, skills, race and more, and it must include consultation with the real audience. As with many careers, IT skill isn’t the only value women and men bring to IT projects, it’s their experience as humans we must also look to as we move to increase our digital service delivery and presence across business and government. While we acknowledged the challenges we are all working to overcome as we progress #BalanceforBetter, our discussions that morning focused largely on celebrating achievements. And there is so many! I continue to be inspired by all of the contractors in our Bookssorted community, and hearing the stories of the women who joined us on Friday just added to my joy. From being part of ground-breaking national projects, to leading and driving change, the women in our community have strength and skills that I admire. I’m proud to be able to support them and work with them, and I continue to be in their corner as a cheerleader. And as a cheerleader of women in IT, I look forward to working throughout the year, and not just in International Women’s Day, to add my voice, support and actions to help drive gender balance in IT (and across a range of related fields).